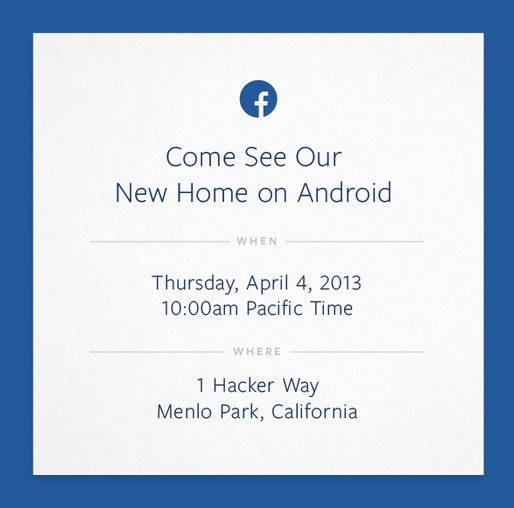 Facebook has sent out press invitations to an event set to be held on Thursday, April 4th at its Menlo Park HQ in California, and although it would appear from the invite as though the topic of conversation will be Android-related, all sorts of theories are already being offered as to what Mark Zuckerberg’s company has up its sleeve. It may well just be that the social network has overhauled the Android app, bringing a series of new and cutting-edge features. 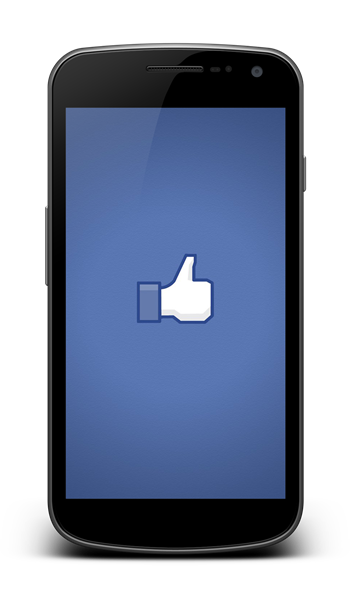 But with previous movements and rumors suggesting the company is keen to release a new round of Facebook-branded smartphones or perhaps its own, Facebook-centric OS based on Google’s ecosystem, the potential for things to get really interesting is perhaps higher than usual. The last event Facebook held at its California headquarters saw the showcasing of the new-look News Feed at the start of this month. But while the site and the brand continues to go from strength to strength, the company’s mobile aspirations are quite a distance from being fulfilled. The range – and quality – of mobile apps has certainly gotten a great deal stronger in the past year or so, but having had many of its services (check-ins) and attempted, so-called ‘Facebook Phones’ knocked back by consumers, Zuck certainly has plenty of progress to make within the mobile arena. Indeed, it was only earlier this month that a leak purported to reveal the specs of the HTC ‘Myst’, a handset largely touted to be a second-gen Facebook device. The extent to which the Facebook fingerprint would manifest in that or any device is a matter only of speculation, but with the mid-range handset featuring a relatively solid repertoire of hardware, perhaps Facebook is ready to execute Plan B in the mobile-flogging game. The invitation itself is entitled “come and see our new home on Android”, and with hundreds of millions of users on Android accounting for a large chunk of the 600 million monthly active users of Facebook, whatever is to be revealed could have big implications on the company’s mobile progress. Things will kick off on April 4th from 10AM Pacific Time, and we’ll be sure to cover every detail of the event from beginning to end. Be sure to check out our coverage that day as the news unfolds!